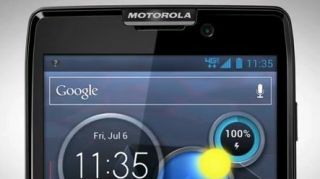 While Motorola has kept details about its forthcoming Droid Razr HD close to the chest, a series of leaked instructional videos show us the most we've seen of this fabled device. Rumor has it Motorola and Verizon are unveiling it to the world September 5, but now we don't have to wait to get a glimpse of its style and capabilities. The videos, posted on YouTube, run through basic functions like making calls, email setup and how to setup Wi-Fi. Until Monday, all we had to go by were some supposedly leaked photos of the device, which, judging from the videos, may not be accurate. We also know it's supposed to have a 4.6-inch screen with 720p resolution, a microSD slot and run on Ice Cream Sandwich, plus a few other specs. In other good Droid news, Motorola slashed the prices of the Droid Razr, Droid Razr Maxx and Droid 4 ahead of the Razr HD's anticipated release. The Droid 4 and Razr now run at $99 (£63.03), down from $199 (£126.70) and $299 (£190.34) respectively, while the now-$199 Razr Maxx once was $299. These cuts are reportedly here for good.